When I knew I was bringing soups to The Wendy Williams Show, butternut squash soup was obviously at the top of the list. 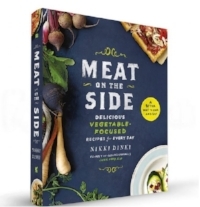 But knowing Wendy is vegan, I really had to rethink the classic recipe. Without using chicken stock or cream—both of which can add so much flavor to soups!—I had to extract as much flavor as possible from my ingredients, while finding other ways to give the soup a creamy texture. I discovered roasting the squash was vital, as it really intensified the sweet taste of the squash. And pairing the roasted squash with apple made it even better. A handful of cashews later, and my soup was even creamier and more velvety in texture than it would have been if I had added a cup of cream! In the end what I’ve really created is just a better soup—that also just happens to be vegan. Preheat the oven to 425°F. Peel the squash and cut it in half lengthwise. Use a soupspoon to scoop out the seeds and discard them. 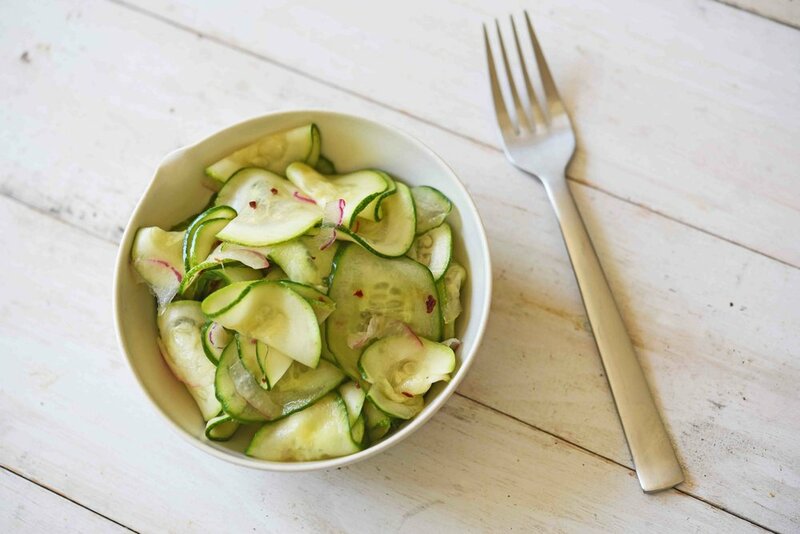 Cut the squash into ½-inch-thick slices and then into ½-inch chunks. 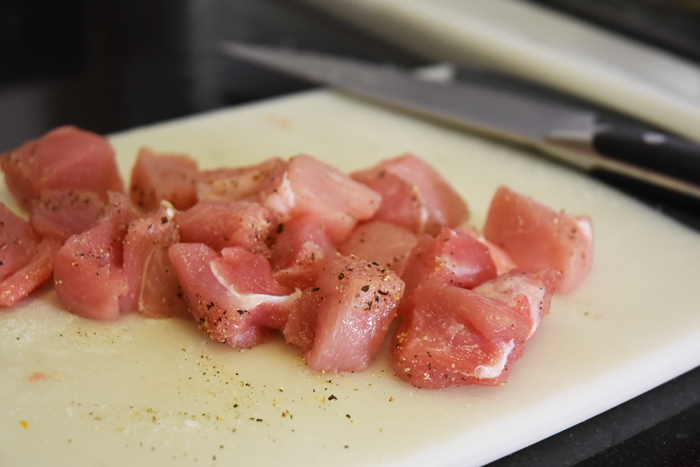 Place them in a medium bowl and add 2 tablespoons of the oil, 1 teaspoon of the salt, and ¼ teaspoon of the pepper. Toss to coat; then spread on a rimmed baking sheet and bake until tender—about 50 minutes. Meanwhile, heat the remaining 2 tablespoons of olive oil in a large pot over medium-high heat. Add the onion and cook until it is tender and browned in spots—about 6 minutes. Add the garlic and cook for one minute more. Add the stock, apple, cashews, and 1 teaspoon of the salt to the pot and cook for 50 minutes. When the squash has finished cooking, remove it from the oven, add it to the pot with the stock, and cook the soup for 10-20 minutes more until the cashews are very soft. 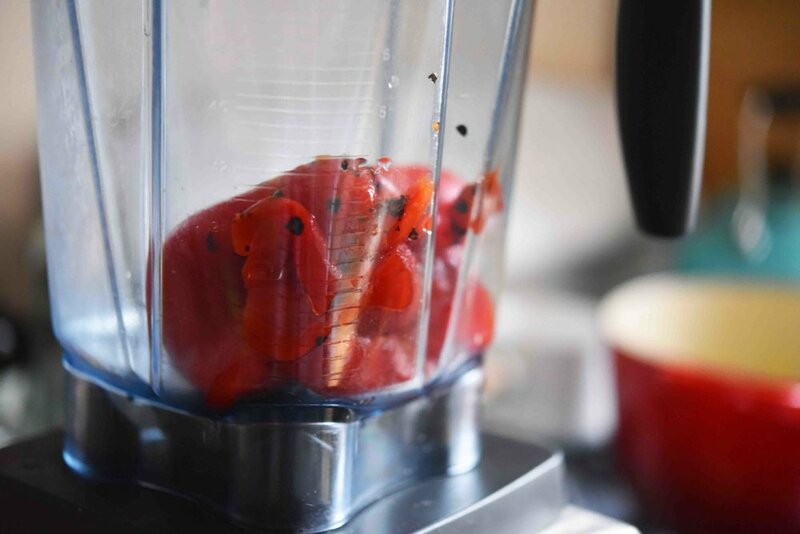 Transfer the soup to a blender and add the remaining 1 teaspoon of salt, the ginger, nutmeg, and the remaining ¼ teaspoon pepper. Blend until combined and then transfer the soup to serving bowls. Top with breadcrumbs, diced apple, and enjoy! Preheat the oven to 400°F. Place the bread cubes on a (parchment-lined? No, nothing) baking sheet and cook them in the oven until they are dried out and toasty—about 5 minutes. Then transfer them to the bowl of a food processor and pulse until small bread crumbs form. Add the pecans and continue pulsing until the bread crumbs are fine and the pecan pieces are about the size of a pea. Meanwhile, in a medium skillet, heat the olive oil over medium-high heat. Once shimmering, add the sage leaves and fry them until they are crisp—about one minute. Then transfer them to a paper towel-lined plate to drain, reserving the oil in the skillet. Next, add the bread crumb mixture to the hot oil and toss until it is light brown and toasty—2-3 minutes. Remove the skillet from the heat and stir in the parsley and salt. Top the Creamy Butternut Squash Soup with the bread crumbs, fried sage, and pomegranate seeds. Heat the oil in a large pot over high heat, then add the sirloin, sausage, 1 teaspoon of the salt, and the pepper. Cook, breaking up the meat with a spoon, until it is very brown and mostly cooked through; try not to stir too much to allow the meat to really brown—5 to 7 minutes. Turn the heat to medium and add the onion, garlic, bay leaves, and Italian seasoning. Cook until the onions are mostly tender and translucent—about 5 minutes. 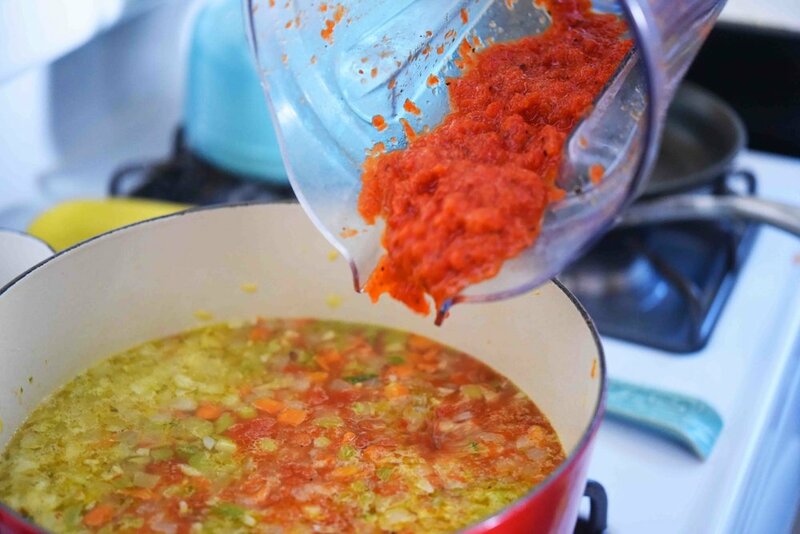 Add the stock, crushed tomatoes, marinara sauce, and the remaining 1 teaspoon of salt. 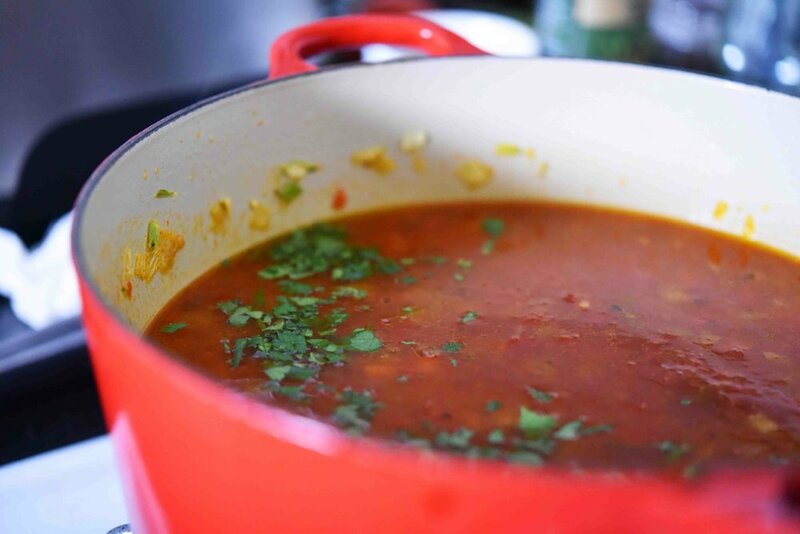 Bring the mixture to a simmer and cook until it reduces slightly and the flavor intensifies—about 25 minutes. Add the noodles and cook until al dente—about 8 minutes, then stir in the basil. Taste, and add more salt if needed; this will depend on how salty your stock is. Also, add more stock or water if your soup is too thick (if your soup sits, it may thicken and you may need to add more stock or water later on). To serve, divide into bowls and top with the mozzarella cheese, a dollop of the ricotta, a sprinkle of black pepper, and extra basil. 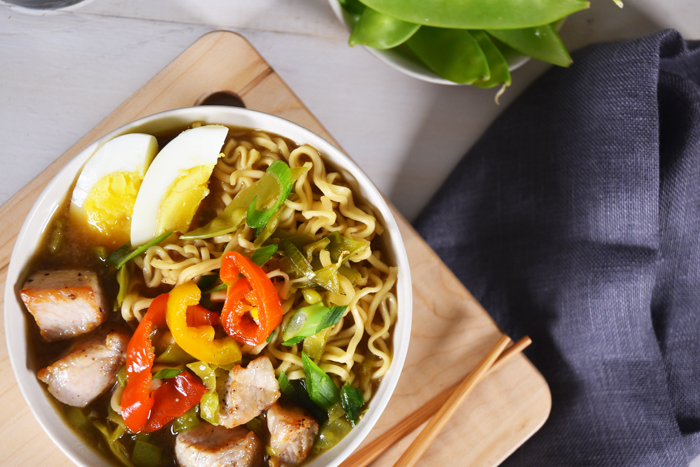 You could cook your noodles separately and then add them individually to each bowl. This way, if you have leftovers, your noodles won’t get “water logged.” In this case, you should use 2 cups less stock. And tomato soup’s cousin has come to town, ready to play! 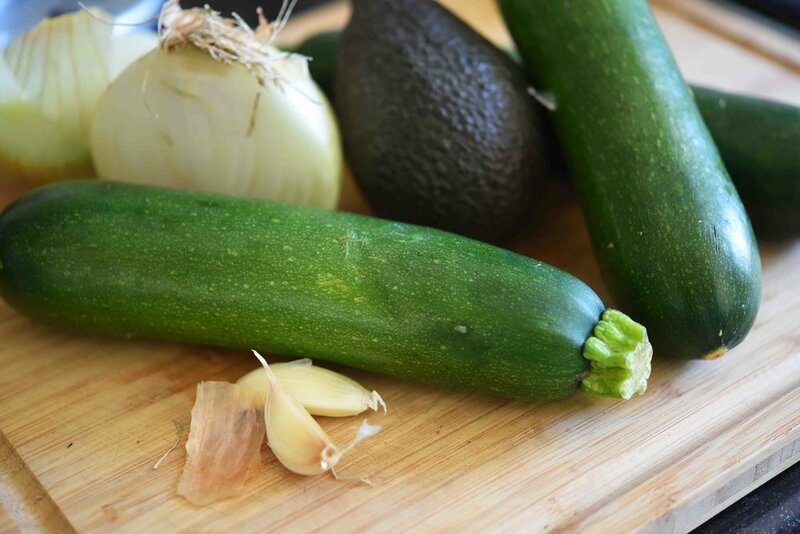 I thought it would be fun to experiment with some zucchini (which we all might have an abundance of from our gardens right now), and make it into a soup. But at the same time I say that, I honestly had no idea it would be this good! It’s silky and light, but still totally satisfying. If your kids don’t gobble it right up, you’ll have no problem eating all the leftovers! And when the leftovers are gone, just remember how easy it was to prepare everything and get it on the stove! Heat the olive oil in a large pot over medium heat, then add the onion and garlic and cook them until they are softened but not brown—3 to 5 minutes. 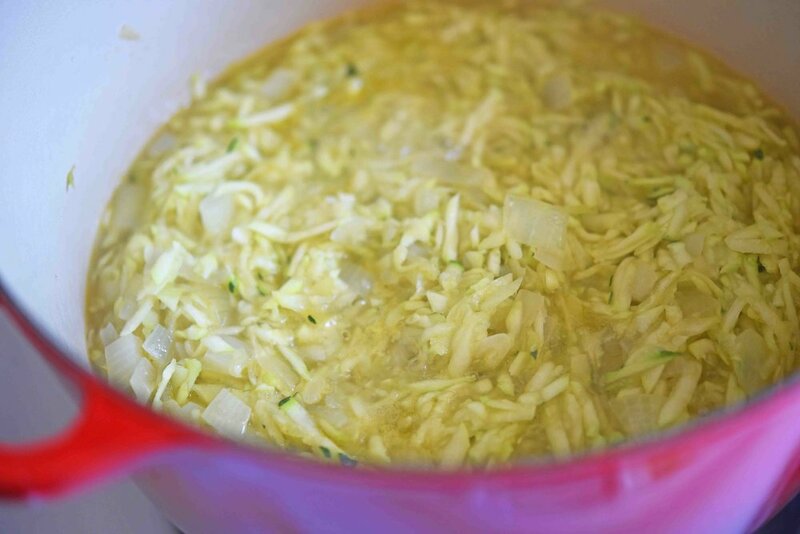 Add the grated zucchini and stock, then bring the mixture to a simmer and cook covered until the zucchini is very soft—about 10 minutes, stirring occasionally. Meanwhile, cut the avocado in half and remove the pit. Use a soupspoon to scoop the flesh into a blender. 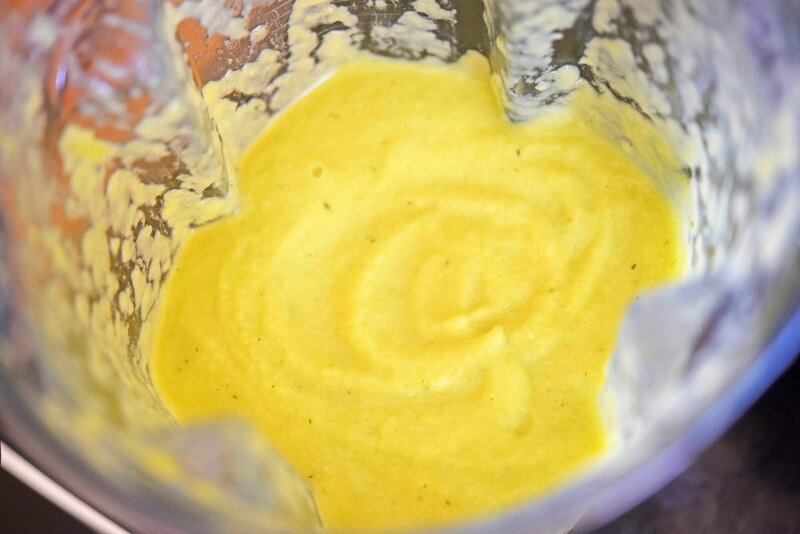 Then add the cooked zucchini mixture to the blender and puree its contents until smooth. Transfer the soup back to the pot and add the parmesan, salt, and thyme, cooking over medium-high until the soup is heated through, about 3-5 minutes. 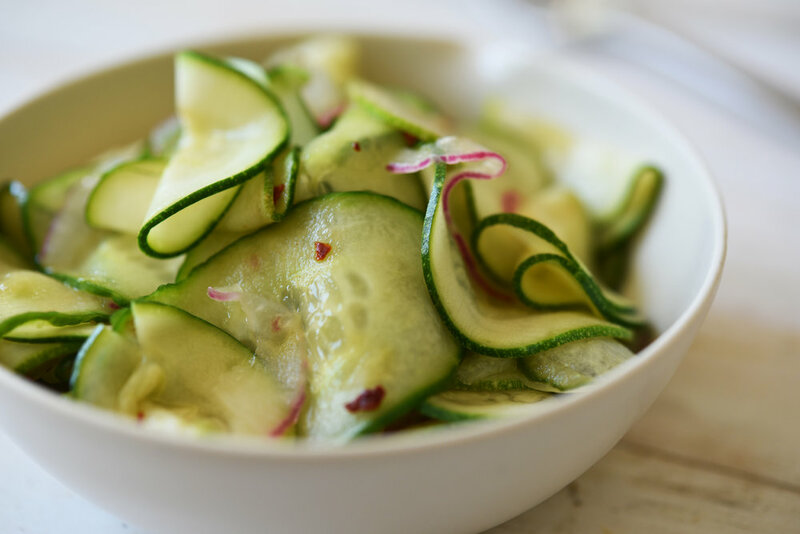 Serve by dividing the soup into two bowls and garnishing each with the reserved zucchini peels. If you desire, you can also garnish the soup with ground black pepper or additional parmesan cheese. Why should onions have all the fun?! Forget the Blooming Onion (though it is undeniably delicious), because this summer the Blooming Tomato is taking over! 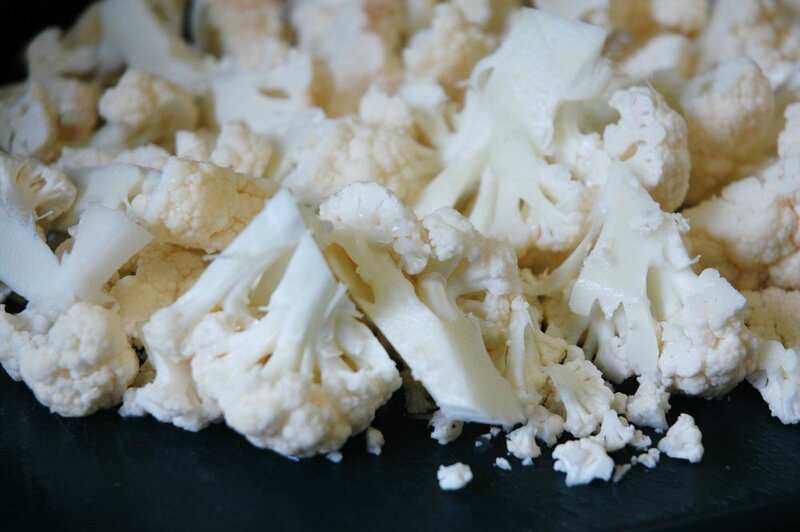 I’m always looking to do something new with veggies—to transform them into something special. 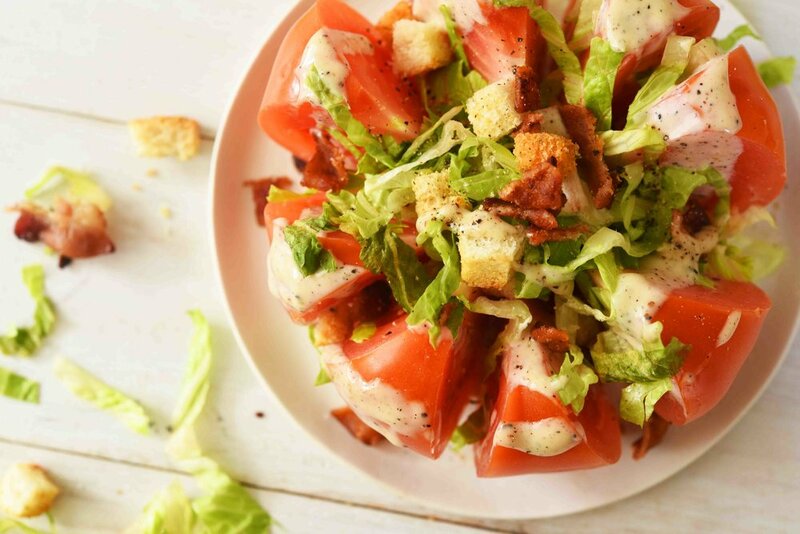 This tomato becomes the centerpiece of a salad, and suddenly the salad is an experience and not just some lettuce and tomato. The trick is to cut it into wedges while leaving the bottom center intact. Then top it as you like! I’m going with Caesar dressing, lettuce, bacon, croutons—and to make it really special for Wendy, some crab. And just imagine this with some summer heirloom tomatoes! Oh man, get ready for a lot of Blooming Tomatoes on my Instagram! Heat a small nonstick skillet over medium heat. Add the bacon and cook until crisp—6 to 7 minutes, turning once. Then transfer the bacon to a paper towel to drain. 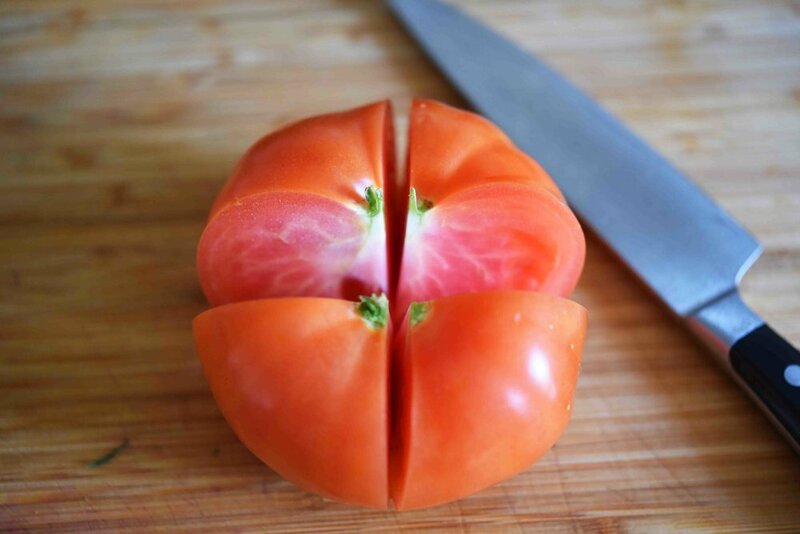 While the bacon cooks, remove the tomato’s stem and place it stem-side-up on a cutting board. Then cut the tomato into 8 wedges making all of your cuts on the stem side and leaving the bottom intact (first cut the tomato in half one way without cutting all the way through, then cut it in half the other way without cutting all the way through, and finally cut each quarter in half without cutting all the way through—for 8 even wedges). Next, sprinkle the cut tomato with the salt and pepper to taste. Drizzle the dressing over the tomato, fill it with the shredded lettuce, and top it with the croutons and crab meat (if desired). Finally, when the bacon has finished cooking, remove it from the pan, crumble it over the blooming tomato, and serve. So great being on The Wendy Williams Show today! Check out the clip--and the recipe!--for my Spicy Brussels Sprout + Lentil Soup. Heat the oil in a large pot over medium heat, and add the onion, peppers, carrots, celery, garlic, 1 teaspoon of the salt, and the pepper. 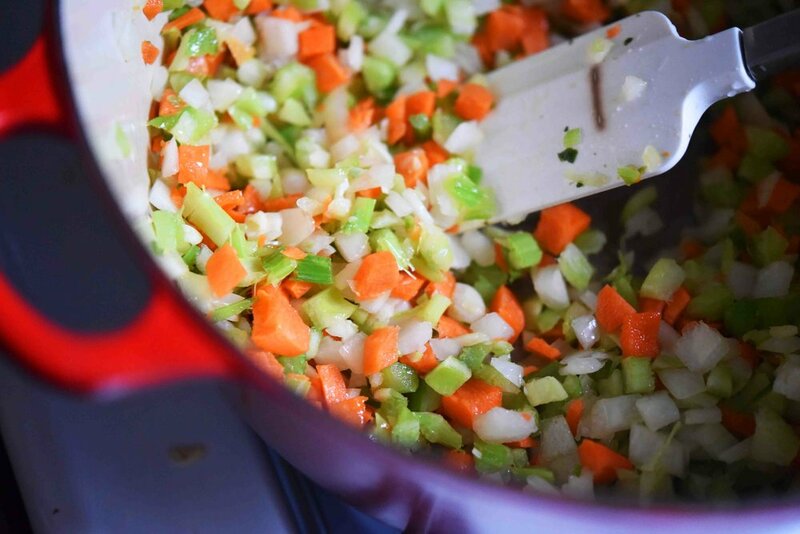 Cook this mixture until the veggies are tender—about 7 minutes. Meanwhile, in a medium bowl, toss the remaining 1 cup of Brussels sprouts, the avocado, lime juice, and remaining ½ teaspoon of salt together until well combined. To serve, divide the soup into serving bowls and top it with the Brussels sprout mixture from Step 4 and some cilantro. Puree or finely chop the entire can of chipotles in adobo and use 1.5 tablespoons for this recipe. Store the remaining in the bottom of a Ziploc bag in the freezer and cut of tablespoon amounts as needed. Many of us start the new year with a resolution to get healthy and maybe lose a pound or two. Everyone knows that if this is your resolution and you’re on a diet, then you should be eating salad. As a kid there was not much I loved more than a bowl of ramen noodle soup. And to my absolute delight Ramen places are popping up all over New York City like beacons of hope in the cold and snowy streets. NYC really does have it all: there are over 300 restaurants that will deliver food directly to my apartment, I can enjoy a glass of Sancerre al fresco 50 stories up, and most importantly, I can get bone broth in a coffee cup from a to-go window in the East Village. It’s a place called Brodo and they make long cooked, rich and comforting broth with fun additions like roasted garlic and turmeric. It’s a Wednesday night, I’ve invited my husband to the terrace for a summer meal and a chance to actually look each other in the eye and talk after an already busy week. The weekend was filled with indulgences like Jalapeno Poppers, berry pies and clams doused in oil and bread crumbs. The word “balance” is thrown out a lot in our lives. You’re supposed to have a balance between work and play; we all need physical balance, especially when in a crow pose in yoga class or trying to balance our love of chocolate with our love of fitting into our jeans is always a challenge. When it comes to our food, that little word is thrown around like peanuts at a baseball game.